A group of friends has arranged for Norwich Castle to be lit up in gold in memory of a Sprowston girl who died from leukaemia. 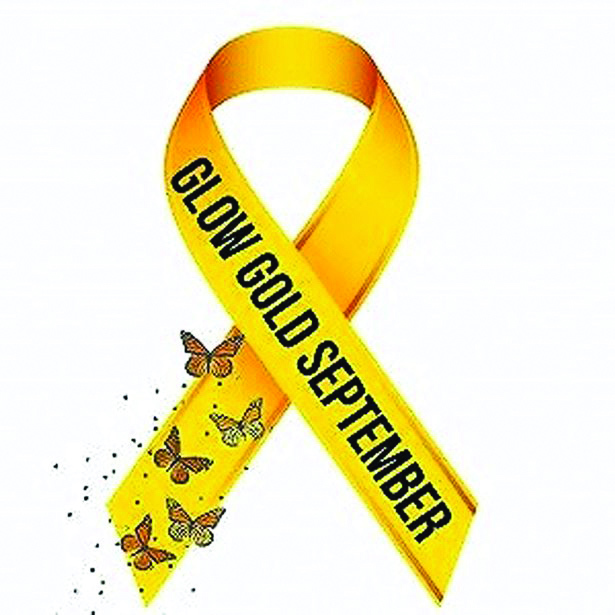 September is international Childhood Cancer Awareness month, which has a gold ribbon logo, and the castle will be bathed in gold lights from September 8-15 to remember Emily Gibson who died three days after her 10th birthday in May 2016. 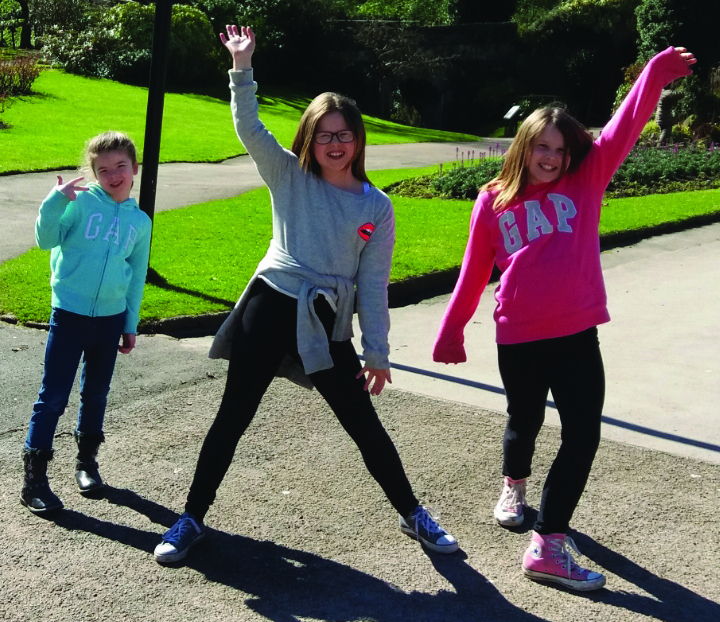 The group includes Deanne Mann whose twins Paige and Abbie were good friends of Emily at Sprowston Junior School. 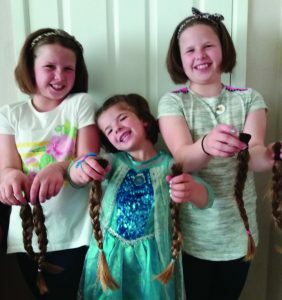 Last year the twins, now 12, and their little sister Amber, now seven, decided to have their hair cut off to send to the Little Princess Trust which makes wigs for children who have lost their hair during cancer treatment. The idea snowballed and took place in Norwich’s Castle Mall in May 2017. Others joined in, a tombola helped boost sponsorship raised, shoppers were generous with donations and around £1,100 was collected for the trust with a similar amount sent to Beads of Courage, a charity which helps seriously-ill children stay positive by giving them a string of beads spelling their name which is added to, with colourful beads, each time they reach a milestone in their treatment. “It was an amazing day – phenomenal. I didn’t expect it to be as big an event as it turned out to be. 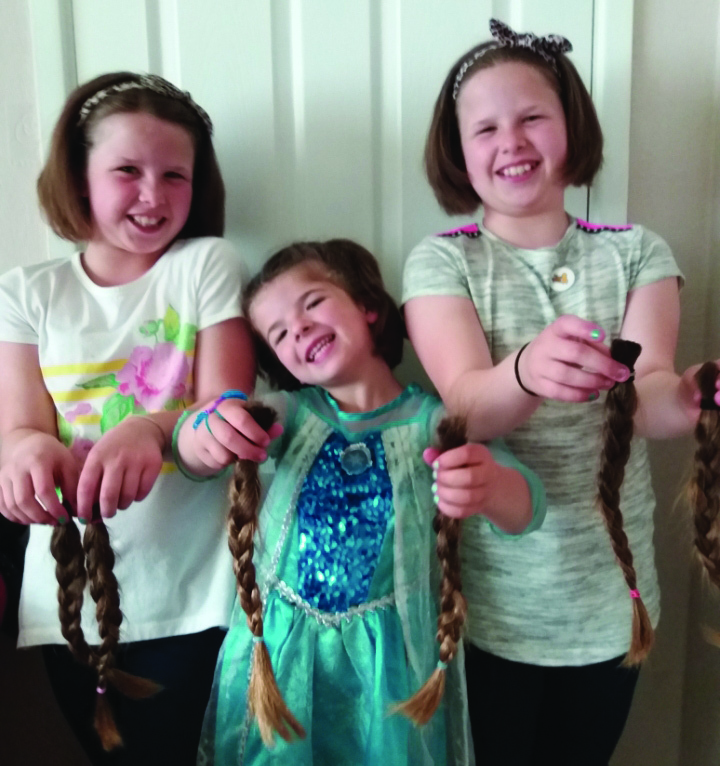 I was handed 24 lots of hair to send to the Little Princess Trust by people who had had their hair cut too!” said Deanne. 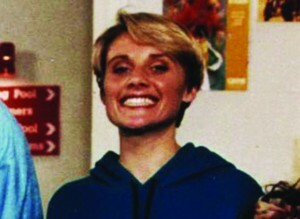 She and the other group members all knew Emily’s mum, Mel FitzPatrick. 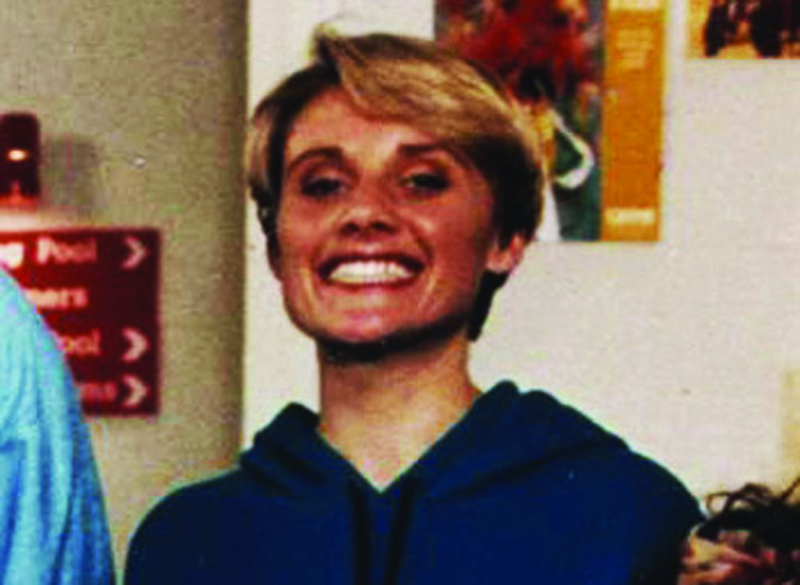 They had wanted to support her and raise awareness of childhood cancers, she added. This entry was posted in Home Page, Sheringham Events and tagged Beads of Courage, Childhood Cancer Awareness Month, Little Princess Trust, Norwich Castle, Sprowston on September 7, 2018 by Gay Webster. Young people are being encouraged to show off their talents for a festival along the North Norfolk coast. Coast arts festival is widening its net to encourage people to sign up for North Norfolk’s Got Talent which will run in town and village venues over September, leading up to a grand final in October. The festival takes place in North Norfolk over October 23-31, the school half term holiday, and aims to incorporate a wide range of art forms including dance, theatre, film, music and photography. Secretary Barry Meadows said North Norfolk’s Got Talent had primarily been organised to appeal to young people but it was open to anyone to take part. “Coast was launched six years ago and this year we wanted to something a bit different,” he said. Heats will be taking place are taking place on September 4 at Coronation Hall in Mundesley, September 11 at Davenport’s Magic Kingdom in North Walsham, September 18 at Merchant’s Place in Cromer and September 25 at Holt Community Centre. A fifth audition date will be realised later. There will then be two semi-finals taking place on October 16 at Davenport’s and October 22 at the Lighthouse in Sheringham, followed by the grand final on Cromer pier on October 30. During the festival week there will also be art and storytelling workshops at venues along the coast and a photography competition with the theme of Littoral Living, the highs and lows. Littoral means of or relating to the shore of a lake, sea, or ocean. For the people who like literature, the festival has announced that the well-known author Lynne Truss will be doing a talk on the pier on the Wednesday evening of festival week. This entry was posted in Cromer, Cromer Events, Holt, Holt Events, Home Page, Latest Events, Norfolk, North Walsham, North Walsham Events, Sheringham, Sheringham Events, Wroxham and Coltishall on July 16, 2015 by Gay Webster. 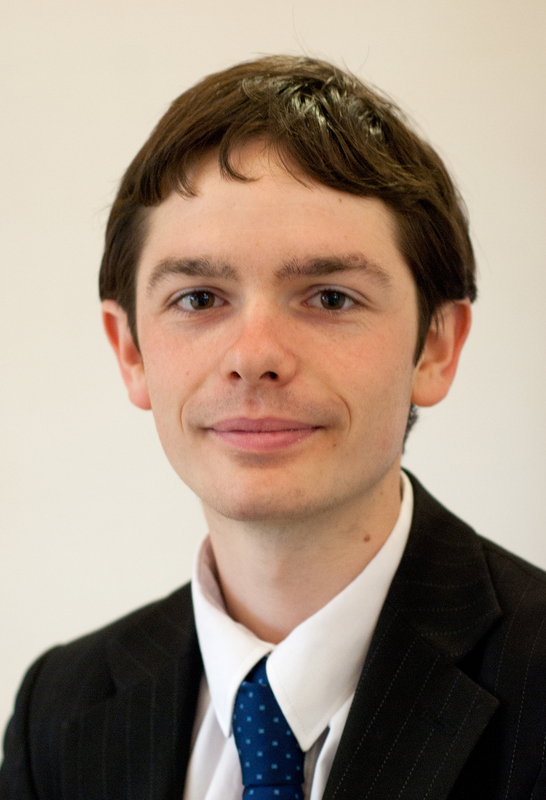 North Norfolk District Council (NNDC) Deputy Leader, Rhodri Oliver, was named ‘Young Councillor of the Year’ at the annual Councillor Achievement Awards ceremony, held at Westminster City Hall in London on Tuesday 25 March. Judges at the annual achievement awards, organised by the LGiU and CCLA (Local Government Information Unit), awarded Councillor Oliver for ‘setting a fantastic example for young people in politics’. They went on to comment on how they were ‘impressed that Councillor Oliver has achieved a leadership position at a very young age’. North Norfolk District Council Leader, Tom FitzPatrick, said: “I was delighted to be at Westminster City Hall to see Councillor Oliver receive his award as ‘Young Councillor of the Year’. He is a great example of how young people in Local Government can really make an impact and I believe his success will encourage many others to consider how they too can get involved in making a difference within their own communities. “He is the youngest deputy leader in the country, a position he achieved solely on merit and I regard him as a one of NNDC’s most valuable assets. Councillor Oliver became the youngest deputy leader in the country at the age 22 in January 2013. This entry was posted in Cromer, Holt, Home Page, North Walsham, Sheringham Events on February 27, 2014 by Just Regional. Three stars of the small and big screen will be on hand on the North Norfolk coast to meet their fans next month, thanks to a Cromer promoter. Nigel Pearce, of Out of Town Media, has secured the three actors for an evening of meet and greet up the road at Sheringham, following a day’s filming in Great Yarmouth for a new film. Jon Chapman, who appeared in Star Wars, Jill Greenacre from The Brittas Empire and local actor Martin Ballantyne form Harry Potter, Batman Dark Knight and the ITV series Kingdom will be at the fireworks display at Beeston Bump on November 9 (6-7pm) followed by an appearance at The Lobster pub in the town centre. Fans can pay a small fee of £2 to meet them in the marquee and later at the Lobster in Sheringham, where they will be until about 10pm The trio will also pose for photographs. John Chapman portrayed Rebel pilot Red Twelve during the briefing room and medal ceremony scenes of Star Wars Episode IV: A New Hope. He is also the creator and author of the successful Jonnie Rocket books and films. Actress Jill Greenacre is best known for her role as lively Linda in the BBC sitcom The Brittas Empire but has also appeared in various film and television shows as well as being a prolific stage actress. Martin Ballantyne’s big break was playing Trollesunds in the Nicole Kidman and Daniel Craig fantasy movie The Golden Compass. He then went on to work on the Matt Damon film The Bourne Ultimatum and the Batman – Dark Knight film in which he plays one of the Joker’s henchman, alongside the late Heath Ledger. 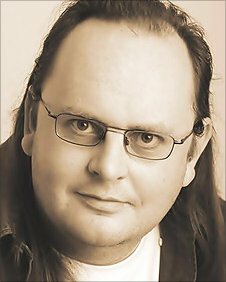 He played a character called Scary Face in Harry Potter the Half-Blood Prince and was Mundungus Fletcher’s friend in Harry Potter and the Deathly Hallows (part 1). The Yarmouth filming is for Ticketer, the latest in a trilogy of comedy films which include Logg Time and Z-Lister. Ticketer is about a jobs-worthy traffic warden who falls in love. 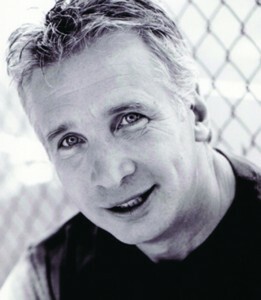 The film includes a part for Nigel, who has just completed his first scripted film Never Speak to Strangers and acted in Z listers. Nigel has also had two books released this year – The Avro CF-105 Arrow and Target Taranto. This entry was posted in Cromer, Holt, Home Page, Sheringham, Sheringham Events on October 30, 2013 by Gay Webster. YHA Sheringham is one of 72 Youth Hostels throughout England and Wales that will be throwing open its doors to the local community on Sunday 8th September to celebrate YHA Day 2013. On the day, YHA Sheringham is teaming up with RNLI, National Trust and Sculthorpe Moore Nature Reserve to provide free activities for visitors. A local artist will also be displaying their work for visitors. 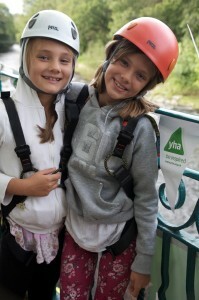 As well as showcasing the facilities available at the Youth Hostel, the free event is a ‘thank you’ to people who live in the area in which YHA Sheringham is based. Last year volunteers across England Wales gave 120,000 hours of help so that the youth hosteling charity can continue to provide outstanding accommodation, learning experiences and facilities for young people and their families. In the last six years more than £20 million has been invested in Youth Hostels throughout England and Wales. Many boast private en suite family rooms, restaurants and bars with some even having honeymoon suites; and you don’t have to be a member to stay with YHA (England and Wales) although you do save money. This entry was posted in Sheringham, Sheringham Events on August 30, 2013 by Lee Todd. His Facebook page is Christian Around Britain and he has thousands of followers supporting his efforts for Help for Heroes. Christian Nock has been walking the coastline of Britain for getting on for a year now, having left from Blackpool. And today he headed along the coast from Walcott to Cromer, where he met lifeboatman Paul Watling before heading off towads Sheringham. Just Regional editor Gay Webster joined him for the 14-mile hike from Walcott to Cromer, and would like to report he is on his 10th pair of boots and had had five colds. We’ll get the full story on here but for now here’s a couple of pictures. This entry was posted in Advertising, Cromer, Cromer Events, Home Page, Latest Events, Sheringham, Sheringham Events on June 4, 2013 by Just Regional. This weekend Cromer and Sheringham will host the fourth Crab & Lobster Festival with a host of fun, free and seaside-themed events for all the family to enjoy. This entry was posted in Cromer, Cromer Events, Home Page, Sheringham, Sheringham Events and tagged Crab and Lobster, Cromer, family fun, festival, May 2013, seaside-themed events, Sheringham on May 14, 2013 by Just Regional. This entry was posted in Sheringham, Sheringham Events on April 26, 2013 by Just Regional.